Mexico City, Mexico, Dec 12, 2018 / 12:14 pm (ACI Prensa).- Millions of pilgrims travel each year to see the image of Our Lady of Guadalupe in Mexico City. In one U.S. diocese, however, pilgrims can see a relic of the original image that has been outside Mexico for nearly 80 years. The relic, a small half-inch cutting taken from the tilma, is kept in a chapel in the Los Angeles cathedral which was dedicated by Archbishop José Gomez in 2012. 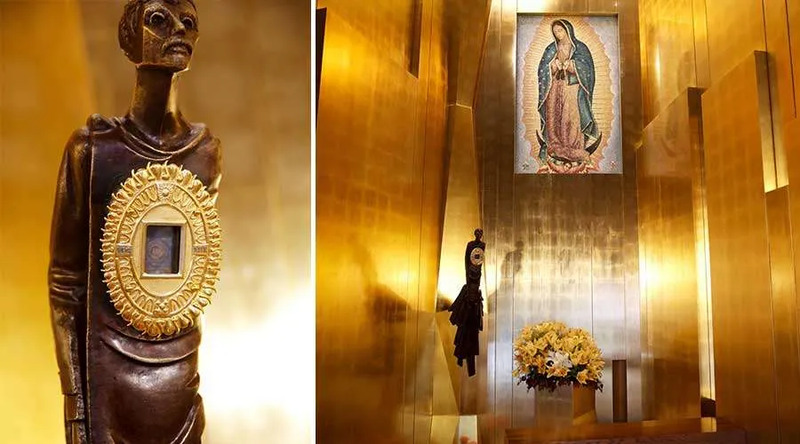 The fragment of the tilma is preserved in a gold reliquary embedded into the midsection of a sculpture of Saint Juan Diego, giving the effect of the tilma the saint wore. The relic was given in 1941 by then-Archbishop of Mexico, Luis María Martínez y Rodríguez, to his counterpart in the Archdiocese of Los Angeles, John Joseph Cantwell, after he led a large pilgrimage to the Guadalupe Basilica in the Mexican capital. Archbishop Cantwell provided significant help to Mexican Catholics during the Cristero War and the religious persecution by the Mexican government during the first decades of 20th century. The priest welcomed to his archdiocese priests fleeing from Mexico to survive. Our Lady of Guadalupe appeared to Saint Juan Diego in 1531, and requested that he ask the first bishop of Mexico, Franciscan Friar Juan de Zumárraga, to have him build a church at the foot of Tepeyec Hill. As proof of the authenticity of the apparition, the Virgin Mary asked the saint to bring flowers from a rosebush that miraculously appeared on arid Tepeyec Hill as a sign to the bishop. When he presented the flowers to the bishop, his tilma, the garment in which he was carrying them, was imprinted with the image of Our Lady of Guadalupe. The image of the Virgin, full of symbolism which could be read by the indigenous Mexicans, gave rise to the evangelization of Mexico, leading to millions of conversions in the following years. Saint Juan Diego was canonized in July 2002 by Saint John Paul II. 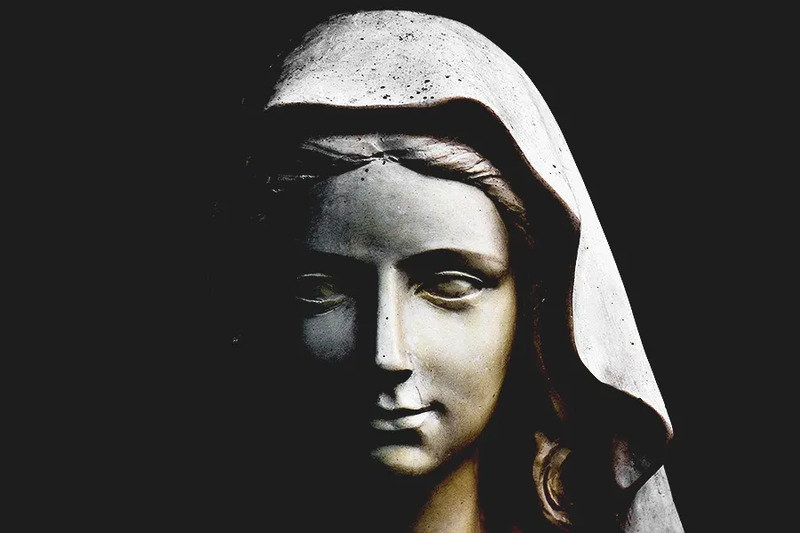 Mexico City, Mexico, Apr 28, 2017 / 03:02 am (CNA/EWTN News).- Italian priest Sante Babolin said that Satan is behind several recent attacks in various parts of the world against the Virgin Mary, noting that she is a powerful advocate for him during exorcisms. The relic is worthy of a better reliquary, and a less hideous chapel.